Manuka honey from New Zealand may have a problem of toxicity. High toxicity. I have got this feeling, reading different sources, that somehow, manuka honey is like a synthetic drug. Heals you of something and makes you ill of something else. Could this be possible with something so natural and so highly recommended? Well, history and lots of research said yes. Present says something else. It is known that manuka honey is a honey with proved antimicrobial efficiency. It comes from Australia and New Zealand, from the nectar of the mānuka tree – Leptospermum scoparium. While it is considered to be monofloral honey, it is not entirely made 100% only of manuka flowers. It would be impossible. There are flowers around the manuka bushes, and honey bees are attracted to them, too. And sometimes, there are not enough flowers around, and they had to feed on something else. Like honeydew. This is what happens in New Zealand, where there are some very toxic shrubs: Coriaria arborea, aka tutu shrubs. They contain a toxin called tutin which is found in all parts of the plant, apart from the fleshy flower petals. Are the toxins really that toxic? While insects are not affected by them, honey bees included, animals and humans are badly affected. In 2014, a man tramping in Auckland, New Zealand looking to try the taste of the plant supplejack, mistakenly attempted to eat an asparagus-looking young shoot of tutu. He said he did not actually eat any of the plant because of the revolting taste, but within hours he was having a tonic-clonic seizure that dislocated his arm, induced convulsions and made breathing difficult. 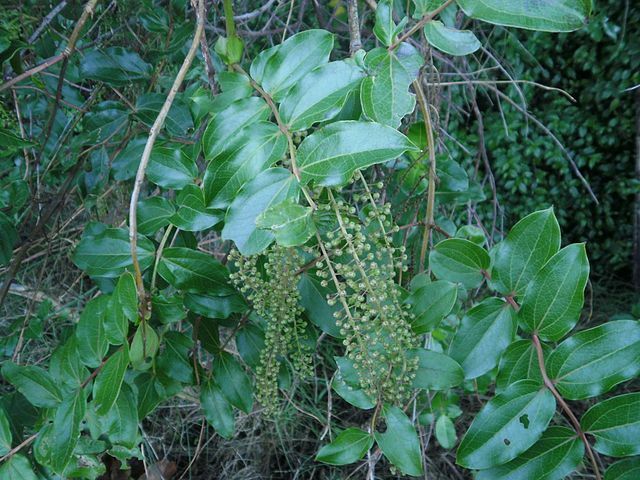 If you want to see the details of how serious this poisoning is, please read the article Tutu toxicity: three case reports of Coriaria arborea ingestion, review of literature and recommendations for management, published by The New Zealand Medical Journal, on March 2013. It’s not the flowers’ nectar to blame. The toxin enters our honey because honey bees feed themselves with the honeydew they find on the branches of this shrub. This honeydew is the secretion left behind by the vine-hopper insect (passionvine hopper), which feeds on the plant. · Periods of drought are especially of high risk. Hot, dry weather lead to a high number of vine hoppers and a build-up of honeydew on tutu. · The main risk periods are mid-January to April. · The most affected areas: Eastern Bay of Plenty, Coromandel and Marlborough Sounds area. 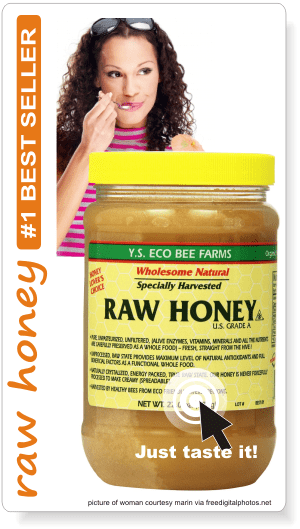 Find out more about Honeydew Honey. It is because of this honeydew that blended honey and especially manuka honey got poisoned with the potentially lethal toxin tutin and hyenanchin, a tutin derivative. After eating this kind of honey, people have been hospitalized or even killed. In 1974 commercial honey poisoned 13 people. Since 1974 there have been 9 other cases of honey poisoning, with the most recent occurring in 1991 in the Bay of Plenty. In 1982 and 1983, there were 2 poisoning cases which had been caused by comb honey, produced by hobby beekeepers in the Marlborough Sounds. The highest levels of tutin ever measured in honey were produced in this area. In 2008 in Coromandel 22 persons got poisoned. The authority’s senior programme manager for animal products, Jim Sim, said the tests showed levels of between 30 mg-50 mg of tutin per kilogram of honey, and 180-300 mg/kg for hyenanchin. Waikato District Health Board spokeswoman Mary Anne Gill said that the symptoms of tutin poisoning include vomiting, delirium, giddiness, increased excitability, stupor, coma and violent convulsions”. It was the moment Mr Sim said: “We want to be able to head towards setting some sort of limit.” Bee Products Standards Council chairman Jim Edwards said a viable and commercially available test would be useful. What they eventually did. Which are the symptoms of poisoning? Ingesting high levels of tutin toxin can result in vomiting, delirium, giddiness, increased excitability, stupor, coma, violent convulsions and death. Symptoms usually develop within three hours of consumption. 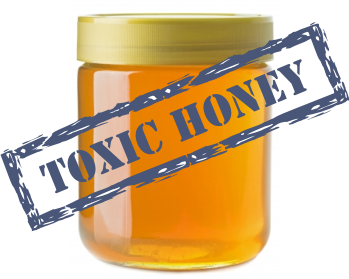 These honey toxins can be lethal, or make a person very sick. As little as one teaspoon (approximately 10ml) of toxic honey can have a severe effect on the human nervous system, cause seizures and lead to death. Medical assistance ought to be seek immediately. Poisoning is more likely to occur after eating comb honey. What is the law saying about manuka honey poisoned with tutin? Lots of research followed the incident of 2008. And lots of suggestions and regulations. Till March 2015, there was a limit of accepted tutin in honey of 2 mg/kg, and of 0.1 mg/kg for comb. Starting from 12 March 2015 there is only one regulation: 0.7 mg/kg of accepted tutin in honey or comb. Read here the food safety regulations emitted by the Ministry for Primary Industries. The Ministry demands as a legal requirement that all honey for sale or export must comply with the limits set out in the Code. Beekeepers and packers of honey must ensure that they take appropriate measures to meet these limits. Every producer which exports honey from New Zealand “must have a tutin test carried out on it, before it will be approved for export by the NZ government. And any honey sold for local consumption in NZ must also have a tutin test carried out on it under NZ food safety laws.” – assured us Steve Howse, Executive Director at Analytica Laboratories. So, nothing to worry about. Nothing to worry about the honey packed after 12th of March 2015. But can we say the same for the honey packed before? 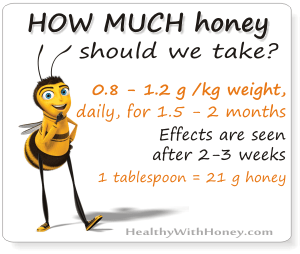 That honey was verified for a 2 mg/kg tutin limit, and researchers said this was rather big. The Ministry for Primary Industries, admits it was too big, because it changed it, and not with little. From 2 mg to 0.7 mg really is a difference. Steve Howse, Executive Director, Analytica Laboratories. The New Zealand Food Safety Authority has reminds apiarists that the Coromandel, Eastern Bay or Plenty and Marlborough Sounds are areas where the conditions favor the production of toxic honey under certain conditions (number of tutu bushes, of vine hoppers, hot dry weather). Beekeepers offering honey for sale are required to complete a declaration relating to the time their hives were producing honey or bee products, for an area up to 3km from their hives. All details are to be found on Ministry for Primary Industries’s website. Consumers who are unsure as to the safety of their honey should contact the producer to confirm that their honey is safe, check with their supplier to ensure the declaration requirements are met or alternatively discard the product. Or, if they have a big quantity of honey, they can send samples to specialized laboratories to confirm authenticity. • Do not EVER buy honey from a road-side stall in New Zealand (especially the North Island) without seeing the results of a tutin test for the honey. 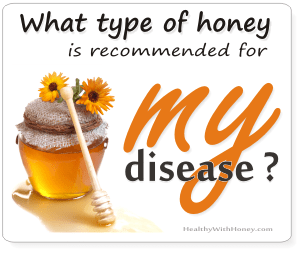 • Do not buy manuka honey from all sorts of blogs or pages that promise to give you real manuka honey at a price much lower then you would find on Amazon or on specialized online shops from New Zealand. Even if that honey is not contaminated, it usually is adulterated with sugar, or heated to darken the color and raise the MGO concentration in it. The online media is full of people trying to get rich easily, taking advantage of the great name manuka honey has gained lately. Beware of frauds! • Manuka honey from Australia cannot be contaminated with tutin, because the tutu shrub doesn’t grow there. YET, the Australian laws concerning manuka honey are not so strict and producers are nowhere near as well regulated as in New Zealand. Manuka honey is “invented” here, it’s their treasure, to use a figure of speech, and the source of a serious income for this country. They would never take risks with it. • The best manuka honey to buy is a fresh one, preferably packed after 12 March 2015. Check the UMF grading on its label! It is the best indicator of its quality. How is manuka honey tested? Can we trust those tests? January’s health recipe. Treat your sore throat naturally. I purchased a jar of Manuka Honey from Poronui Lodge and the label indicates 15+UMF. Is it safe to eat? – UMFHA also recommends that manuka honey should be packed into jars and labelled in New Zealand. HI, do you know if the brand Manuka Doctor have tutu contaminants? The labs in New Zealand say that all exported honey is tested for tutin contaminants. It remains the problem of the batch now. But I doubt they sell honey older than 2015. Yet, it is possible, you have to check the date of production. 2015 is important because from this year on the limit for the allowed levels of tutin have been changed. So, I think that as long as it is fresher than 2015, it’s fine. But why don’t you try an accredited UMF honey? At least you know its therapeutic value. 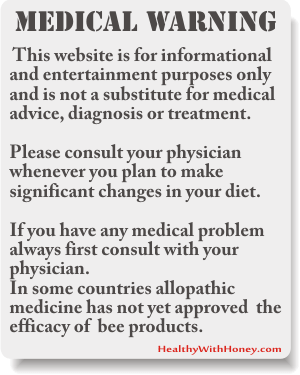 (more in I want to buy manuka honey. What is UMF 16+, MGO 400+, Active? 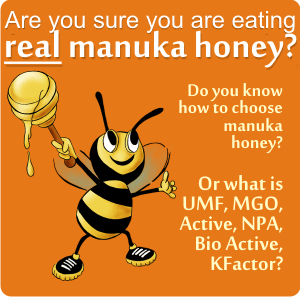 and Deciphering manuka honey: UMF15+, MGO400, 24+ Bio Active, KFactor16, TA. And LOTS OF FRAUDS. Does Wedderspoon brand have tutu contaminants? Nothing to worry about Wedderspoon. It’s a trusted brand. And its honey surely is not older than 2015. Thank you for the sensible critique. Me and my neighbor were just preparing to do some research on this. We got a grab a book from our area library but I believe I learned more clear from this post. Im extremely glad to see such exceptional details being shared freely out there. there are many creams out there containing Tupakihi (Coriaria arborea)http://www.kolei.co.nz/shop/deep-repair-balm/ are these all poison ? From what I’ve seen only the fleshy petals of this flower are not toxic. The producer of the cream doesn’t specify what part of the flower is using, but considering that the neurotoxin tutin attacks the muscular and nervous systems and that this cream is recommended for arthritis, sprains, sore joints, muscle/bone and sports injuries, we may think that a certain amount of it was indeed used. I believe it is a matter of the correct proportion in everything, and I don’t think they will manufacture a poisoning cream. When known exactly how to use it, this plant can be useful. Here I have found a very good article on it.